Pressure-gain combustion concepts are developed around the world as solutions to reach the ambitious target of the ultra-efficient aircraft road map for 2050 that requires a 20% reduction of specific fuel consumption of the engine. This reduction can be obtained by increasing the thermodynamic efficiency. Several patterned designs apply the Humphrey deflagration-based constant-volume combustion (CVC) to parallel piston-less combustors. 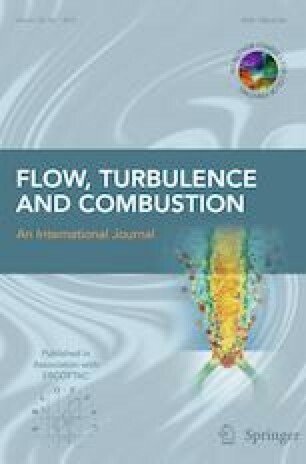 Recently, a proof of concept constant-volume combustor was operated in representative aircraft combustor conditions. This study evidenced reliable operating regimes, but also critical design issues related to some of the most challenging combustion fields: ignition stability, flame propagation in non-perfectly-premixed conditions and trapped residual gases, as well as cycle hysteresis. A lab-scale facility (CV2) was designed to study and further improve our understanding of such CVC phenomena. The facility features the cyclic operation of constant-volume combustion, independently of a specific technology of intake and exhaust systems, at representative aircraft combustor conditions over more than 10 cycles. The results presented in the paper concern the investigation of CVC stability with a variation of the spark-ignition phasing, in direct injection of gaseous propane. The cyclic stable and unstable operating conditions have been characterized successfully by means of time-resolved PIV, pressure evolution measurements, as well as chemiluminescence visualization. A strong correlation between ignition probability and the cumulative probability density function of the local velocity is evidenced. This work is part of the CAPA Chair, a research program on Alternative Combustion Mode for Air-breathing Propulsion supported by SAFRAN Tech, MBDA France and ANR (National Research Agency). Quentin MICHALSKI has received grants research from the CAPA Chair (a joint research program between SAFRAN, MBDA and ANR). The authors declare that they have no conflict of interest.